You are here: Home / Great Deals / Personalized Ring Only $8.99! 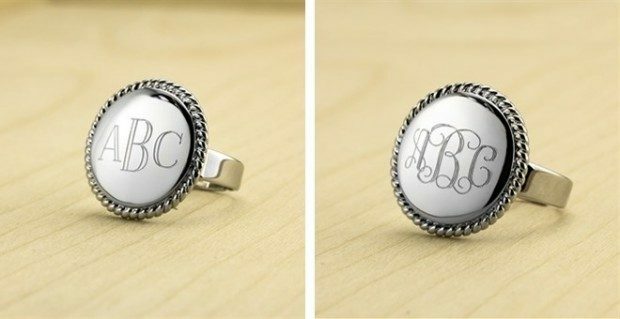 Order a Personalized Monogram Ring for Only $8.99! This will make a terrific holiday gift! Available in size 6 through 9, this is a great statement ring that will work will all of your outfits. Choose from 2 font styles for your personal favorite!